Did you know that almost 40 per cent of all product searches start on Google now? That’s a pretty big deal if you run an eCommerce business. Take a look at your site statistics. Does it look like nearly 40 per cent of your traffic comes from Google? If you said no, do you know why not? If you said yes, how can you improve that number? The answer to both is keyword optimisation. Keyword optimization is one of the key parts of Google searching, and if you’re not doing it, chances are that you’re falling behind your competition. Making sure your sales pages are optimised isn’t impossible though. If you want to learn how to do it, look no further. You’re in the right place. In this article, we’re going to break down 7 strategies for optimising your sales pages. Before you begin anything, you need to make sure to do your research. As with any marketing strategy, you won’t want to start out just hoping for the best. Use a tool like Google AdWords to figure out what keywords are popular. With this tool, you can even see the popularity of search terms in a certain area. Even if you’re targeting all of Australia, you can make sure the terms you’re using are relevant to your country alone. When researching, make sure find out what keywords your competition is using as well. Even though they might be ones you could grab as well, they might not be worth trying to compete. Look to see how much traffic a keyword is getting. If it’s getting too much, it might not be possible to rank for it. But, if you choose a keyword that has very little traffic, it won’t be worth it. Also, make sure to figure out where you rank as a business on the SERPS. Let’s say you run “Calli’s Coffee.” If you search for “Calli’s Coffee,” does your business come up? You should make a strong effort to rank for the name of your business. This is how people find you, and if you don’t rank for it, a review page or article about you might beat you out. Ranking for your own business also improves your legitimacy by showing potential customers that you are a trustworthy site. It is rather ironic that the term “keyword” sounds like it should be just one word. Because the best keywords are the ones that aren’t one word. Most keywords should be at least 2 words, and there are also long-tail keywords, which are even better. Let’s discuss the two types. You can break up simple keywords into two other sections: header keywords and body keywords. But oftentimes, SEO experts use the same keyword for both the header and body. You’ve probably seen these keywords in every article you’ve read, but you may not have noticed it! You may have even written keywords in your sales pages but don’t realize it. These keywords can be things like “Ceramic mug” or “Bath towels.” These aren’t incredibly specific, but they are related enough to become keywords for your page. Long-tail keywords are similar to regular keywords, but they are – you guessed it – longer! These keywords are often four or more words, and they are much better for SEO purposes. Long-tail keywords are closer to what people search when they’re online. Because people know how many websites are out there, they make their searches specific. If you optimize with long-tail keywords, you’ll have a better chance of picking up those specific searches. Notice that the two types of keywords aren’t mutually exclusive. Long-tail keywords often have simple keywords in them as well. Believe it or not, eCommerce is a billion dollar global industry. That means you have plenty of competition online. No matter what you’re selling, chances are that someone else is selling it too. And if you’re a small dealer trying to beat Amazon, it isn’t going to work out well for you. But as an eCommerce store, you bring your speciality and niche products to the table. So instead of trying to beat Amazon, let the products that Amazon doesn’t have shine. Even if you have products similar to other large eCommerce stores, showing why you’re different (and better!) can give you an edge. One of the best ways you can do this is with your keyword optimization. As mentioned before, using keywords helps you target specific searches people put into Google. The best type of keywords to use for this? Long-tail keywords. Long-tail keywords are perfect for bypassing the big competition and getting directly to the people who want your product the most. When a vegan searches for organic hand soap, you have a much better chance of reaching that audience than other online stores do. This is because they aren’t optimizing with their specialities. Sites like Amazon have a product page dedicated to soap, and that’s it. You, on the other hand, might have a whole site dedicated to organic hand soap. Which do you think has a better chance on the SERPs? The takeaway here is to target keywords that have low competition but high traffic. You can find that information on Google Adwords and Google Analytics. There’s an inverse relationship between competition and traffic. The more traffic a keyword has, the more competition it has. Figure out where you think your site can rank and pick a good spot in the inverse relationship. It’s better to pick something with low traffic that you can rank for than to pick something with high competition that you can’t beat. For example, if you try to rank for “dresses,” your keyword will get loads of traffic. But the possibility that you rank for that term is quite low. Instead, try ranking for “hand-woven red sundresses.” You won’t see nearly as much traffic for this term, but you’ll have a better chance of ranking for it. When Google first started explaining its algorithm, many people decided to use as many keywords as they can. The more the page had the keyword, the more likely it would rank. It sounded ridiculous, but the keyword (fresh apples in Knoxville, TN) was all over the page. That strategy worked for a little while until Google caught on. They decided to make keyword stuffing something people could be penalized for. Now, if Google catches a page keyword stuffing, they drop its ranking or remove it from the SERPs altogether. On your sales page, it can be tempting to put the keyword a bunch of times. Avoid doing this because it will look like keyword stuffing to Google. But if you aren’t trying to keyword stuff, it’s rather hard to do it. Google realizes that some keywords make sense when repeated, so don’t worry too much about keyword stuffing. Just make sure not to do it. Oftentimes, the biggest mistake people make with optimising for keywords is thinking that it will fix all their problems. Keywords are valuable and helpful, but they aren’t everything. 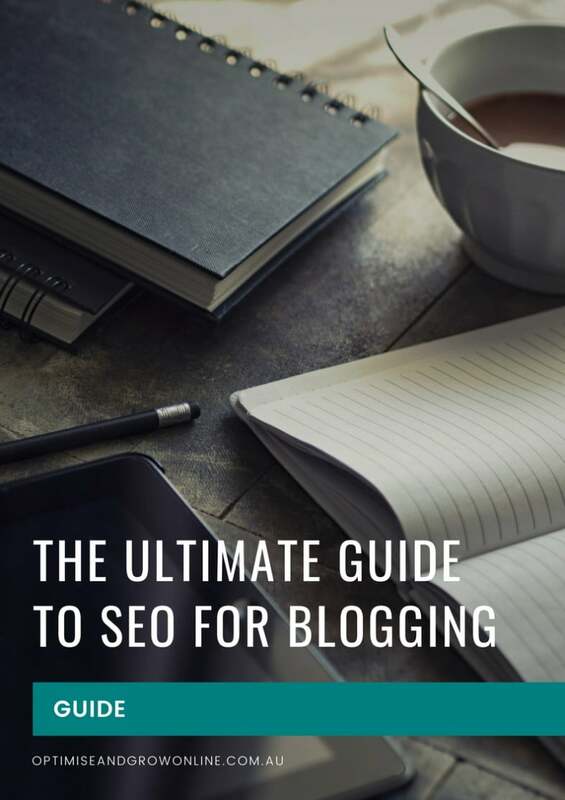 In fact, pages with good keywords without any other kind of SEO changes to it will fail to sites that have decent keyword optimisation and better SEO. Along with keywords, you should make sure to write meta descriptions for each page, optimise images, and use internal and external links. Of course, you’ll want to use your keyword for each of those things. Try to get more traffic on your site with social media and email marketing, as this will improve your SEO placement. Plus, you should always look for more backlinks to your site. Keep in mind that keywords will change over time. What works well this month might not do you so much good a few months down the line. Make sure you’re using Google AdWords or a similar service to make sure the keywords you picked still get traffic. Again, they don’t have to be the most popular search terms, but they should have some amount of regular traffic. 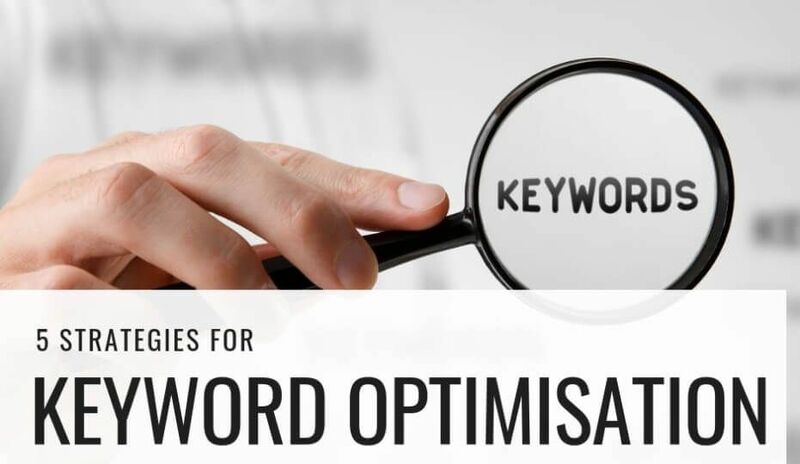 Ready to Start Keyword Optimisation? After reading this article, you should be ready to get started with keyword optimisation on your site. After some time, you should see a bump in your search engine traffic. Did you like this article? Check out this article about local SEO marketing. If you’re in need of help with your SEO services, book a discovery call with us to see what we can do for you.